Wanted to let you see what I chose for my latest Feelunique’s Pick ‘N’ Mix selection. Most of the items I got are now out of stock but always keep checking as some may come back into stock again. As advised previously you can choose five ‘free’ samples from a selection of samples available while stocks last (one selection of samples per month) – you are charged £3.95 for shipping and handling fees although you can redeem this against any future order (excluding Pick ‘n’ Mix) via a £3.95 gift voucher you receive in your follow-up email. This ‘service’ is so good because as well as being excellent value, great way to try different brands / products you are not ‘tied’ into a subscription i.e. you do not need to make a selection each month, only when you see items you like, want to try. 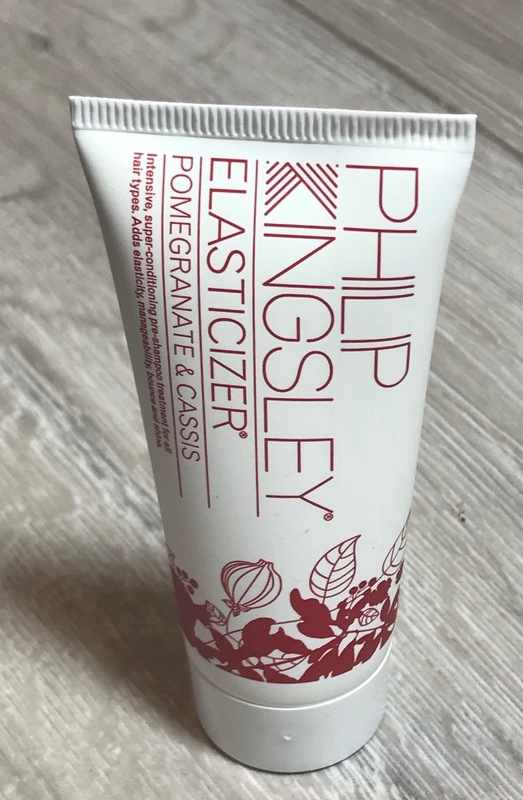 Philip Kingsley Elasticizer (40ml x 2 – worth approx £9 each) (full size is 75ml RRP £18.50) – I chose two; the original and the pomegranate & cassis fragrance – I was pleasantly surprised and over the moon to see the size of the samples – they are deluxe sample sizes. I was delighted to see these both in the item selection as love, love this product. It is a pre shampoo treatment cream. Best results when you use regularly and you are advised to wet hair apply in sections, work into hair with fingertips, cover with plastic cap (I use a tight towel wrap), leave for 10-20 minutes before washing off styling – for an intensive treatment you can apply to damp hair overnight and wash off in morning. I do use both ways and both work well but my favourite way to apply is as an overnight treatment – your hair just needs to be slightly damp and then I apply to the whole of my hair – when you wash off in morning your hair is silky smooth, no nasty residue and your hairstyle seems to last even longer throughout the day, although I do still use my normal finishing oils sprays with it as well. I love the pomegranate & cassis fragrance one now, it smells divine but not too overpowering. Although quite expensive, I feel results are worth it, but as always check where best offer is on prior to purchasing. Have already purchased full size as these two are in my travel bag already for my forthcoming trip. Highly recommend trying if you can if you havent already. 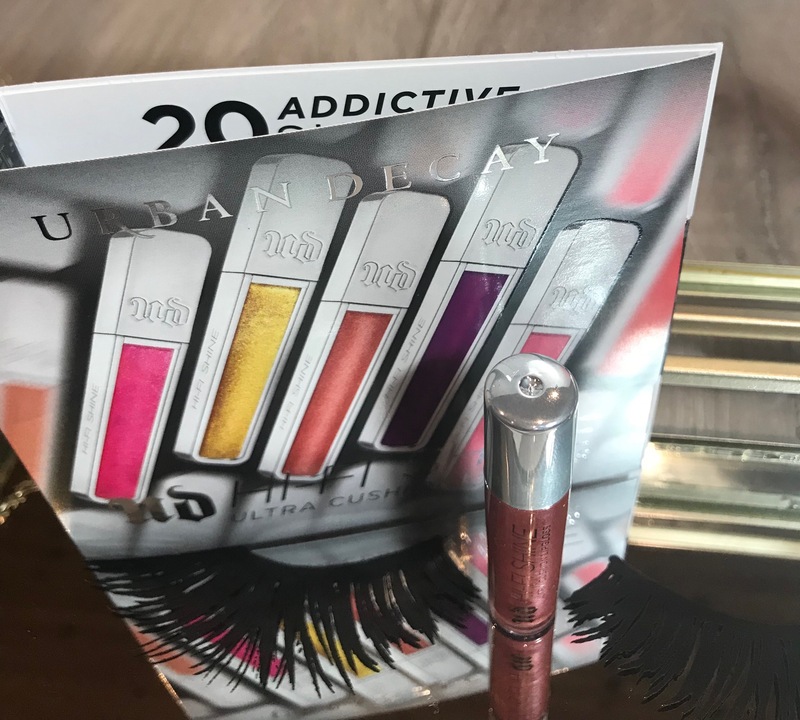 Urban Decay Hi-Fi Shine Ultra Cushion Lipgloss (1ml) (full size 7ml RRP £15.00)– another quite generous deluxe sample. I received the shade ‘naked’, a light pink with a slight glimmer. When you swatch on your hand it does seem quite tacky but then on the lips it is ok, a v slight sticky feeling, but still comfortable, However there is a strong mint fragrance like an ‘aftereight’ and when you apply there is a slight tingling, warming sensation, it does go away but takes a while. I will use but not sure if I would purchase because of the feeling and the strong fragrance/taste, as was ok with it at the beginning but it now feels a little bit sickening at times. Worth checking out though to see for yourself especially if you love a gloss finish as does work well over lipsticks. Still available in selection at time of posting. 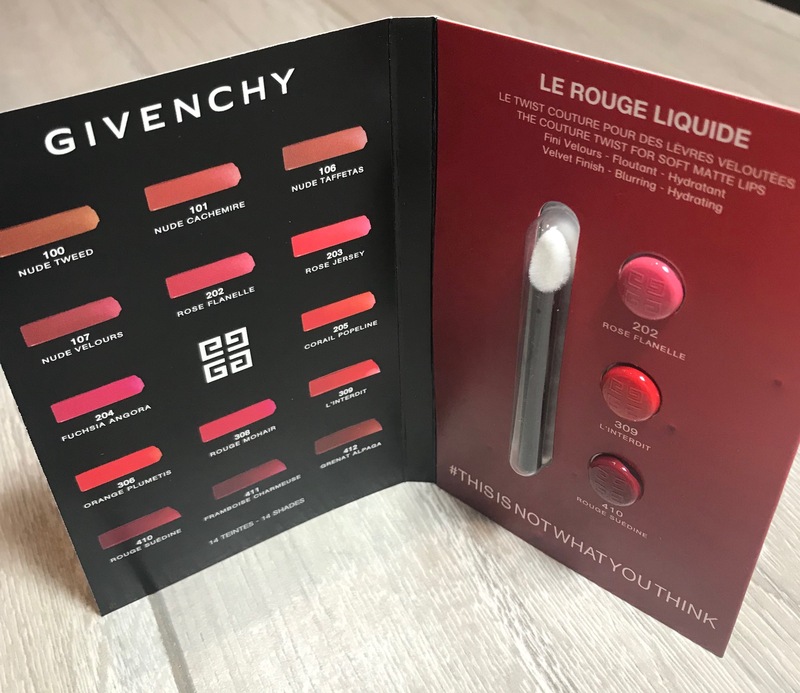 Givenchy Le Rouge Liquide Lipsticks Sample Trio (3 little samples in a card with a brush applicator – full size is 3ml RRP £28)- I havent used yet and although only small samples there are three shades to try – the little applicator is cute too. The full size packaging is gorgeous though as with all Givenchy lip products. 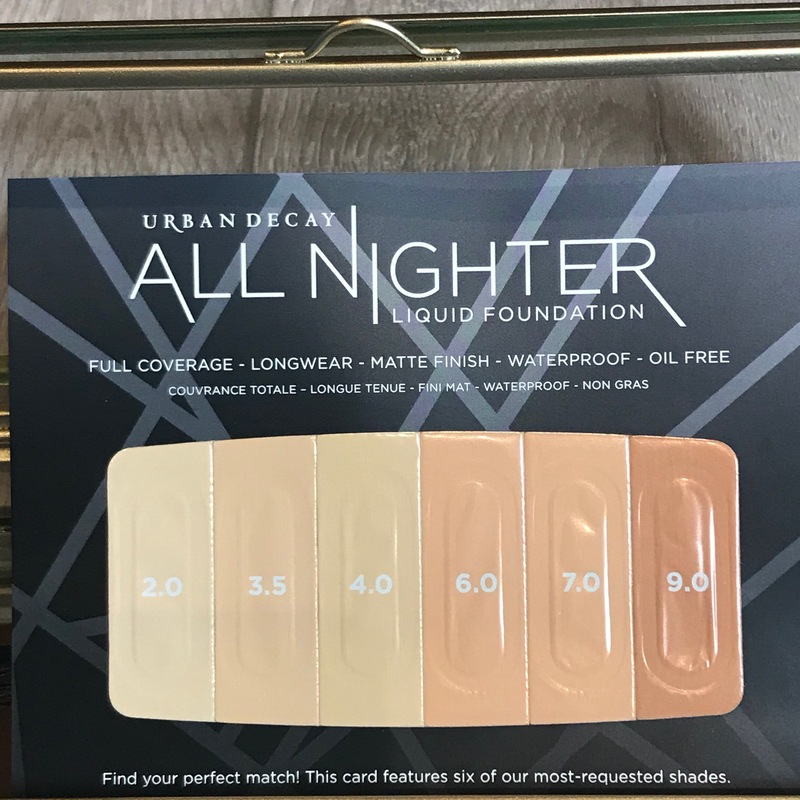 Urban Decay All Nighter Liquid Foundation (6 swatches on a card) (full size is 30ml RRP £29.50)- I chose this just to see what the foundation was like but although nice to get six shades to ‘sample’ they are that small not really enough for you to see if this foundation is for you – better if they only give eg. 3 shades but bigger samples. However I intend to try one of the shades properly in store, not sure for me though as prefer a slightly dewy finish and think this may also make my pores more visible. Still available in selection at time of posting. Happy with my selection this month, especially as I managed to get 2 deluxe samples of one my favourite hair care treatments, would have been happy to get even 1 of these for £3.95. Might not be my favourite selection to date, but close, as adored my July selection (see link to it here, which will be hard to beat). As always I will continue to use the Pick ‘N’ Mix as and when I see samples I want to try or already love. 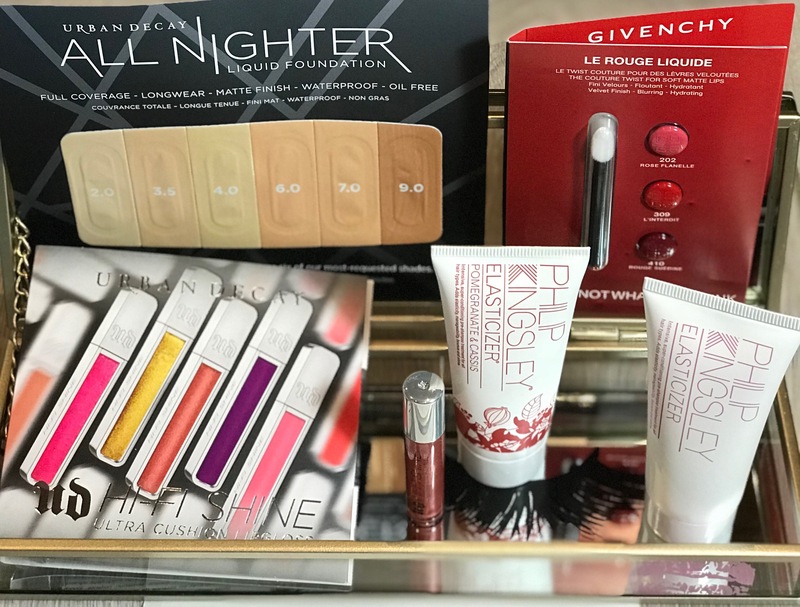 Remember the more generous sample sizes / make up samples go quickly but as long as you regularly look through the sample choice you should always see something you want to try. 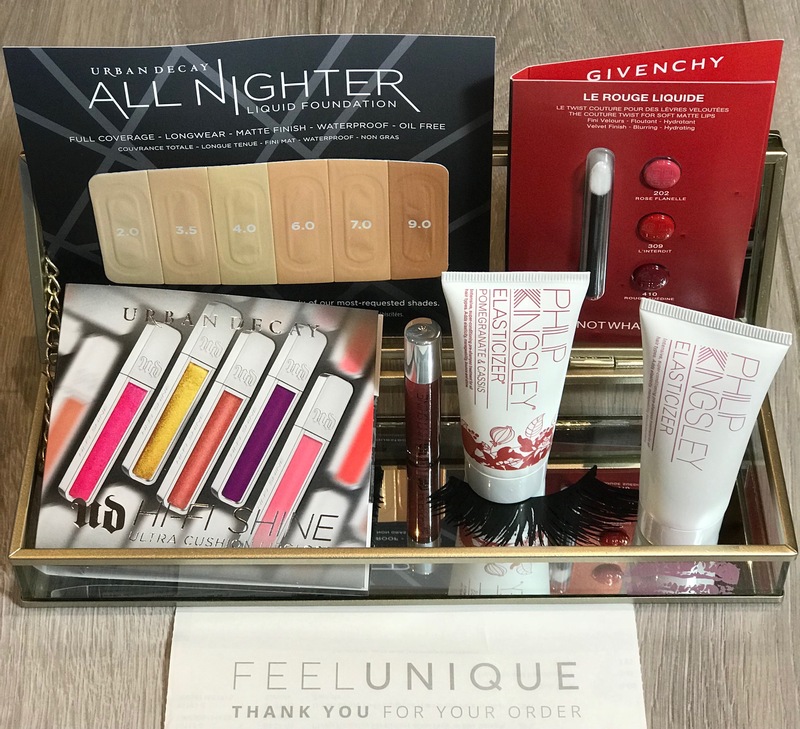 As always I highly recommend trying this ‘service’ for yourself as a great way to try products for ‘free’ prior to purchasing especially if you make a future purchase through Feelunique to enable you to redeem your £3.95 gift voucher (the charge for shipping & handling fees) (if new to Feelunique you can use my code here to get 20% off your first order with a £5 minimum spend). If not already a follower would love you to follow my blog too (my * instagram link is below as well if you would like to follow me there too) – would mean a lot. Will have more posts up soon.